A recent report by the Chamber of Commerce, Industry and Agriculture in Gaza says the Israeli authorities have closed Karm Abu Salem (Kerem Shalom) checkpoint, the Gaza Strip’s only commercial crossing, for 150 days, 41% of working days, during 2013. The reports points out that the continued closure of the commercial crossing constitutes a violation of the ceasefire agreements reached in November 2012 after the Israeli “Operation Pillar of Defense” military offensive.Normally Israel keep the commercial crossing open 22 days per month, says the report, closing it on Fridays and Saturdays. but The crossing was closed also during the Jewish holidays for “security reasons. '” According to the report, in 2013, 55,833, 1,578 fewer truckloads of goods entered Gaza than in 2012. Israel allowed the export of 187 truckloads of goods from the Gaza Strip to European markets, compared to 234 truckloads, mostly agricultural products, 2012. The report also describes the impact of the Egyptian closure of the tunnels since July 2013. This closure caused huge economic losses over the past six months as a direct result of the interruption of economic activities and a fall in production, resulting in a decline of 60% of gross domestic product. Unemployment exceeded 39% at the end of 2013. The Palestinian Centre for Human Rights’ report on the Gaza Strip’s crossings from 1st-30th November 2013 documents the impact of the ongoing Israeli siege imposed on Palestinians, affecting their economy and social condition. While Israel claims to have eased the blockade, the Gaza Strip has a lack of services, fuel and building materials. According to PCHR’s statistics, the materials Israel has allowed to enter don not meet the needs of Gaza Strip’s population. In November, Israel closed Karm Abu Salem crossing for ten days, 30.3% of the total period. Most imports are consumable. The entry of various raw materials continues to be prohibited, with the exception of very limited types imported under complicated procedures. Israel has continued to impose a near-total ban on exports to markets in the West Bank, Israel and other countries, excluding limited amounts of agricultural products. Exceptionally, during the month of November, Israel allowed the exportation of 20 truckloads carrying agricultural products, including mints, garlic, basil, strawberries and flowers. Here we come to a crucial point. Israel allows that minimum exports of Palestinian products only to European and non-European markets, not to the West Bank. Why does Israel not allow Palestinians from Gaza to market their products in the West Bank, within Palestine? 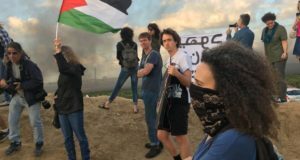 It appears that on the one hand, this practice is part of the collective punishment of the blockade which aims to not allow any economic growth in the Gaza Strip. On the other hand, Israel wants to protect its own market and sell its product in the occupied territories. “We face many difficulties, mainly due to the closure of the crossing,” a farmer in Beit Lahiya, in the northern Gaza Strip, said. “Generally exports take place twice a week. 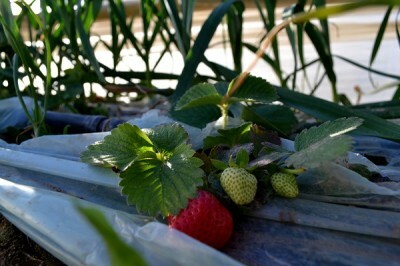 Sometimes we had to freeze strawberries, due to the closure. There are no exports to the West Bank. 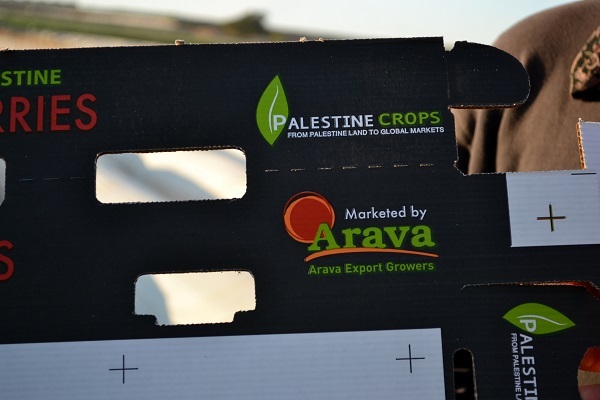 They are not allowed.” The use of the term “export” to refer to the marketing of Gaza products in the West Bank, as if speaking about two different countries, shows the division caused by the barriers of the pccupation and its practices that have separated a population. 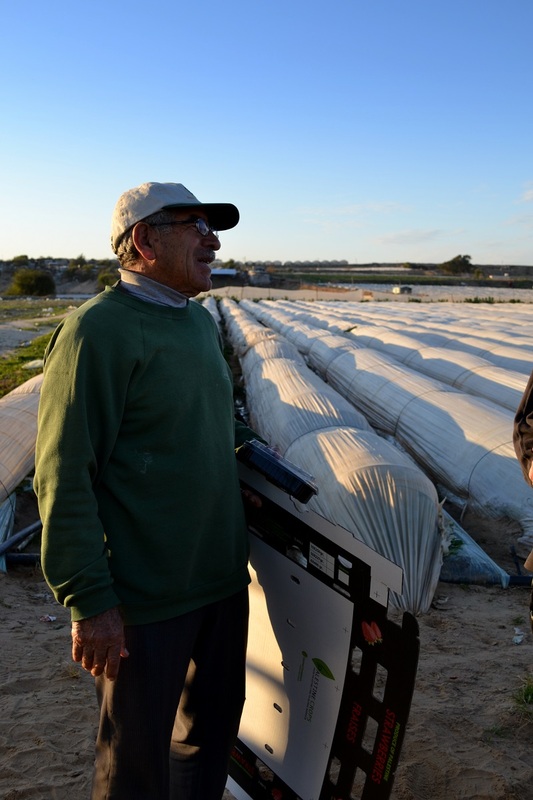 “There is no international law in Gaza,” the farmer said. The farmers have to face not only the expenses of transportation, but also the costs of labor and the packaging. According another farmer in Beit Lahiya, a 2.5 kilogram crate for strawberries costs to twelve shekels, about three euros. They receive 25 shekels, or 5.25 euros, then earn 13 in profit. 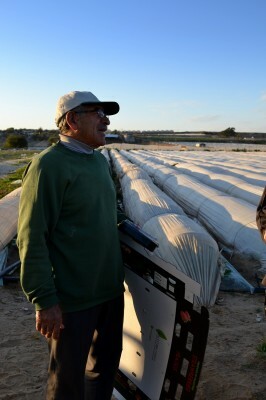 “In 1967, Beit Lahia has begun to grow strawberries,” Abu Sami, a farmer in Beit Lahiya, said. “Here, before the arrival of the Palestinian Authority, we marketed our products as Israeli products through the Israeli company Agrexco. As Israeli products, not Palestinian products. Subsequently, the European countries called on Israel to allow the Palestinians to market their products as Palestinian and without taxes. Here we export many kinds of agricultural products such as beans, green zucchini, strawberries and many kinds of vegetables. We focus on the cash crop and flowers. After the siege, since 2006-2007, Israel closed the crossings and we could not export anymore. The European Union has called on Israel to allow the Palestinians to export their crops as Palestinian crops, but we should sell our products through Israeli companies.” He showed the cardboard box used to export strawberries, on which was printed the brand name of the Palestinian cooperative and the logo of the Israeli company Arava Export Growers. Israeli companies also receive 6% from the exports of Palestinian products. ”The farmers here have lost a lot,” Abu Sami said. 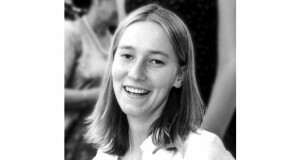 “Before 2005, we were planting approximately 2500 dunums. Now it’s only 700. We started planting herbs in Khan Younis and Rafah, green pepper, cherry tomato. At this time, the cost of strawberries in Europe is too low. We stopped the exports.” There will be meetings in the coming days, and the farmers will decide what to over the next few weeks. The cost of material is high. Farmers can not earn anything from the exports allowed to Europe. The more profitable market in the West Bank is closed to them. 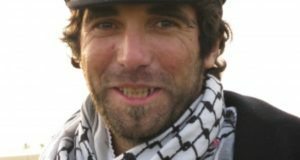 The Paris Protocol, an agreement on economic relations between Israel and the Palestine Liberation Organization, was signed on 29th April 1994 as part of Oslo Agreements. It has made the Palestinian economy a prisoner of Israel, in both the productive sector and the trade of goods. Imports and exports are under complete control of Israel, which determines quantity, documents, customs, taxes and time. Due to the ban on exports, the economic growth of the Gaza Strip is even more difficult. The economic growth could be possible not only with the resumption of exports to foreign markets, but especially through economic and trade exchanges with the West Bank.